The She Decides, You Succeed Final Conference was co-organized by the Association of Organizations of Mediterranean Businesswomen (AFAEMME) and the Comissió Dona i Empresa of Foment del Treball with the support of the European partner organizations involved in the project: the Centre for Inclusive Leadership (CFIL), Associazione Imprenditrici e Donne Dirigenti d’Azienda (AIDDA), the Women’s Economy (WE), the European Women Inventors & Innovators Network of Bawe (EUWIIN), the Women’s NGOs Cooperation Network of Latvia (LSOST), Asociata Femei in Afaceri (AFEI), the European Association for Women in Science, Engineering and Technology (WITEC) and the Organización de Mujeres Empresarias y de Gerencia Activa (OMEGA). The Conference explored the conclusions and the results of the project on encouraging companies to actively promote the access of women to decision-making positions through highlighting the importance and benefits of having a better gender balance in the different areas of responsibility in the company. Ms. de Felipe Lehtonen welcomed the group and spoke on the overall project design, and Mr. 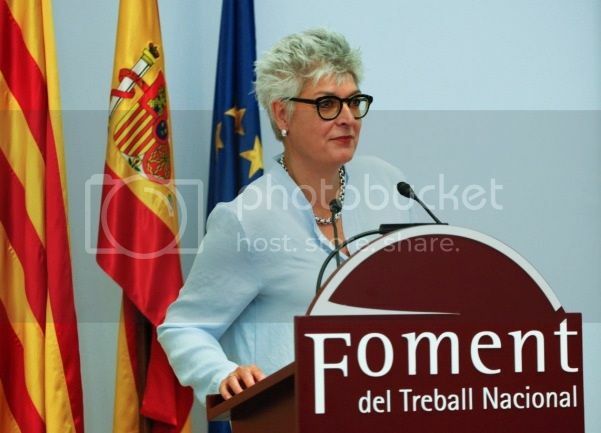 Gay de Montellá Ferrer-Vidal explained the role that Foment del Treball has played in empowering Spanish women in the business world. He outlined particular challenges that impede women’s success in business, such as lack of confidence, cultural barriers, and limited access to finance and corporate networks. 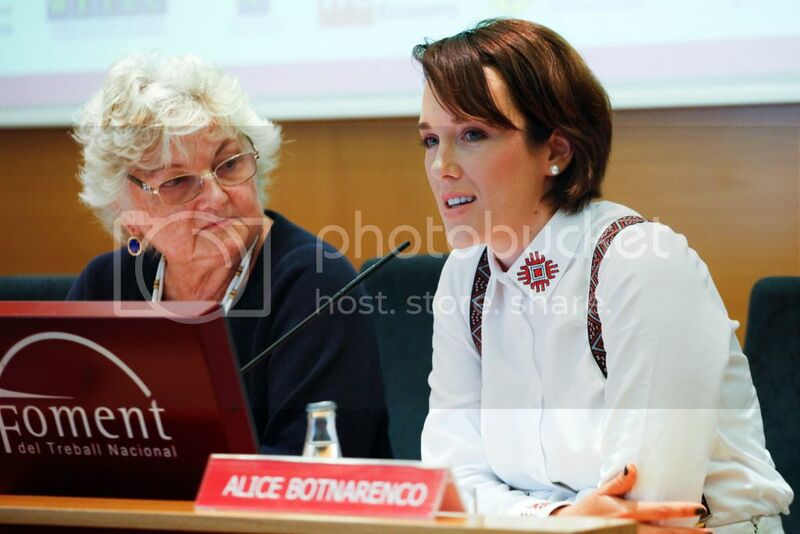 Ms. Pitarch I Albós spoke on the goal within the Catalán Women’s Institute to inform the public about the benefits of including women in company boards and highlighted the fact that men are two times more likely to be found in management positions than women. Finally, Mr. Tarradellas Espuny noted that the EU wants to utilize better female talent and that to do so, a comprehensive approach is needed. While some steps have been taken, barriers remain and women in general work fewer hours, receive lower wages, and are concentrated in sectors characterized by lower pay. A second session in which the authors of the research developed during the first year of the project started a debate about women´s presence in top management, ICT and Innovative Companies. The session focused on women´s presence in top management, ICT and Innovative companies in the five countries studied (Italy, Latvia, Romania, Spain and UK) and illustrated the results from research elaborated in the framework of the project. Ms. Artal spoke specifically on the situations found in these five countries. Romania had a surprisingly high quantity of female entrepreneurs and women in IT fields. Italy and Spain however, presented a respectable number of women in business, but they were located mostly in positions of middle management as opposed to the top level of decision-making. The UK was a mixed situation, despite having worked on gender balance. In general, women are found in social companies instead of tech-related ones, and while there has been progress the situation is still far from gender equality. Ms. Hine followed with a speech including data on the great economic benefits of incorporating women in company boards. 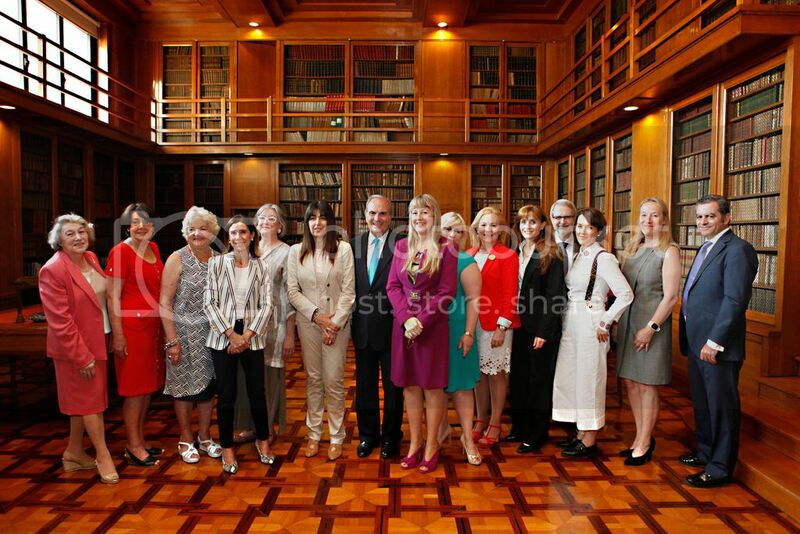 She also mentioned in particular that women in the UK are generally against quota laws, feeling that there must be a more natural way to achieve gender parity. Ms. Visser described the women situation in top management as a chicken & egg situation: to get women on boards we need more women CEOs, but to get more women CEOs we need more women on boards to populate these positions, we need to build a better pipeline. In addition, she commented specifically on the legal situation in Italy and Latvia, and noted as how government programs are more effective when backed by concrete sanctions. She also highlighted the importance of the quality controller role in the project’s unfolding, as companies were swayed by the inclusion of practical arguments instead of solely academic ones. The final speaker was Ms. van Eekelen, who explained the gender issues within the company and actions they have taken towards a greater gender balance. She remarked on Accor Hotels’ impressive goal to reach 35% female general managers by 2017. She also emphasized that diversity is more far-reaching than just the male-female dichotomy and advised that women make themselves more visible in the business world, taking action without fear. This session also included a screening of “The Seven Benefits”, a short video created by Ms. Brigitt Albers which illustrates visually the advantages of promoting women to top management. Following the panel, there was a Question & Answer session with the audience where various pieces of advice were presented, both from panelists and from attendees. It was suggested that young students should be encouraged to stretch their perceived boundaries from an early age, especially in academics where they are sometimes instructed to just statically absorb information from the teachers. The importance of choosing a supportive partner was also mentioned. Interestingly, it was also advised that a woman who finds herself up against a glass ceiling should not attempt to break her way through it; instead, she should just move on until she finds an environment conducive to her success. Finally, women were encouraged to step forward in the office and openly demonstrate their skills, as well as to look for passion in their careers so as to make their professional journey one of continuous learning. During the conference the unequal representation of women in decision-making positions and economic leadership roles, as well as the lack of information on the importance and the benefits of having a greater gender-balance in economic decision-making positions, were reaffirmed. Both private companies and the general population are generally unaware of the potential of women to participate in economic decision-making and of the loss of opportunities and talent which this attitude causes. leadership roles. Clearly, the actual situation is one still far from gender equality. Analyzing the size of the investigated companies (with a classification of small, medium, or large), it is observed that the majority of companies with women in decision-making positions are those that are medium-sized. In regards to the companies with women in top management, 73% are medium-sized. Only 20% are large and only 7% small.